omid (mashhad, Iran) on 7 November 2016 in Landscape & Rural and Portfolio. It must have felt wonderful to be up above the clouds! Une superbe couette pour faire de beaux rêves..! Une belle scène! belle ambiance! Stunning view over the clouds! Beautiful mood! A silent and peaceful world above the clouds!! It was the right place ! Superb cloud, covering the mountains. Excellent color. 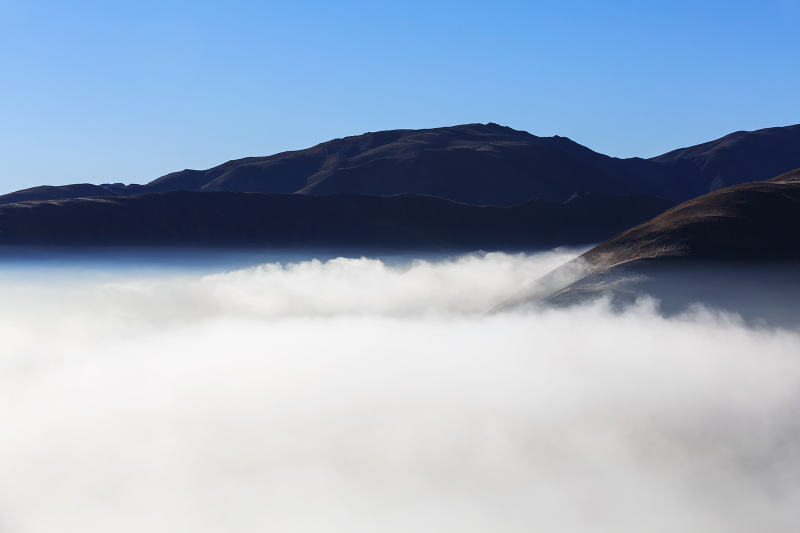 It took a fine viewpoint to get this above the clouds shot. It mazkes a very effective image. On the top of the world ... Amazing shot !!! Incredible serenity captured in this composition!! A beautiful image from up high. We seem to be flying. من که رفتم حسابی نگاهش کنم و بعد سیوش کنم. Must've been a great experience. A photo with an extraordinary simplicity and so full of information. Very very beautiful! manto blanco rodeando las montañas, con el precioso marco del cielo. Above the clouds... another world emerges.